The summer of 2008 was a strange and exciting time to be a Democrat. The party had just finished one of its most closely-fought primaries — and also made history by being the first of the two major parties to nominate an African American candidate for president. At the same time, the polls were still fairly close heading into the summer. 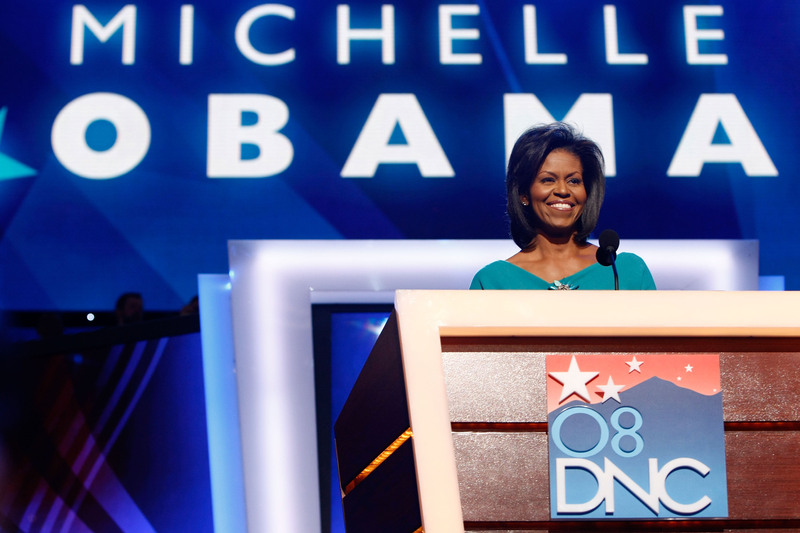 Amidst the rancor, however, we all got to meet for the first time one of the oratorically gifted, level-headed, and just gosh-darn likeable players in the 2008 election: Michelle Obama and her 2008 speech was a game-changer. Though she had been campaigning alongside her husband for much of his groundbreaking run for the Democratic nomination, many Americans' first encounter with the native Chicagoan was during the 2008 Democratic National Convention. Fortunately, that night, the future First Lady was more than up to the job, delivering a powerful and game-changing speech to the convention and the nation. On many levels, Obama's speech did what many people assume a First Lady's speech should do: put the candidate into a softer, domestic context; to show the voters a side of the candidate that only she might see, all while underscoring the basic tenets of the campaign. The Barack Obama I know today is the same man I fell in love with 19 years ago. He's the same man who drove me and our new baby daughter home from the hospital 10 years ago this summer, inching along at a snail's pace, peering anxiously at us in the rearview mirror, feeling the whole weight of her future in his hands, determined to give her everything he'd struggled so hard for himself, determined to give her what he never had: the affirming embrace of a father's love. He and my mom poured everything they had into me and Craig. It was the greatest gift a child can receive: never doubting for a single minute that you're loved, and cherished, and have a place in this world. ... So I know firsthand from their lives — and mine — that the American dream endures. In the end, the future First Lady's speech attempted to re-shape the American Dream as something that Americans should want purely for themselves and their families, and instead as a common purpose that we should all work towards. Barack doesn't care where you're from, or what your background is, or what party — if any — you belong to. That's not how he sees the world. He knows that thread that connects us — our belief in America's promise, our commitment to our children's future — is strong enough to hold us together as one nation even when we disagree. Whether or not Obama's ideas that night were brought to bear during her husband's presidency is tough to say — and only history may tell — but on that night in July, our nation's first African American First Lady set out an idea of a collective American Dream, and she's had us in her corner ever since.